We knew the right way to live; not through commandments but through Sacred Teachings – Teachings that were given to us long before their arrival. 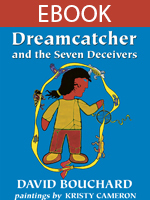 And we knew we would be tested by Seven Deceivers – what they called seven cardinal sins. We knew because we had been forewarned.